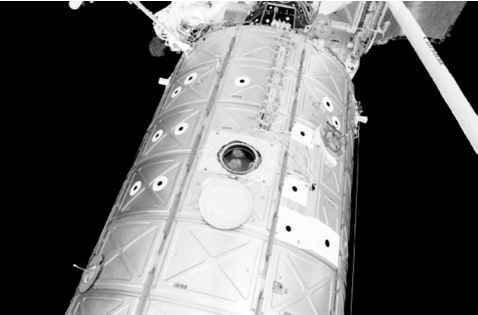 A close-up of Destiny taken on the STS-100 mission in May 2001 during the second residency which greatly expanded the science programme on the station. general public and the media and would still have to perform their other assigned duties and roles as part of the resident crew. The role, developed specifically for resident crews of at least three people, would be divided into three areas of responsibility; pre-launch, in-flight and post-flight. Pre-launch responsibilities: Upon assignment to an increment crew, a NASA astronaut would be designated the agency's ISS science officer. The SO would assist the increment commander with the development of crew task assignments directly related to scientific investigations for that crew. Both crew members would review the crew payload training schedule and ensure that the different crew members assigned to execute the scientific programme were adequately prepared and trained. Expected to develop a "professional relationship" with the PIs, the SO would arrange meetings with them and spend as much working and training time in their laboratories as the training template would allow. In-flight responsibilities: During the mission, the NASA SO would assume responsibility as the point of contact for all issues relating to the NASA investigations and experiment hardware on that specific residency mission. Each SO would be the primary operator for many of the NASA experiments, depending upon the final training programme, the allocations of tasks to the assigned crew member and the availability of time on orbit during the mission. To support this assignment, the designated SO would develop a working knowledge of the whole programme of investigations and experiments assigned to their particular expedition. Where possible, the scope of science objectives of previous expeditions and follow-on crews would be used to provide an effective and smooth flow of science research on the station. The SO would also ensure, to the best of their ability under actual flight conditions and the constraints of flight operations (which always affect even the most well planned and trained-for programme), that the ISS laboratory facilities were operated both smoothly and efficiently to achieve the best possible results for all experiments. This would be done in cooperation with the expedition commander (Russian or American) and the lead and shift flight directors to ensure that crew members and consumable resources were managed to support this effort. At times, space flight requires reactions and decisions to be almost second nature, and this includes determining priorities among experiments and investigations as the science process develops in real time. Where direct communication with the lead increment scientist on the ground is not possible, the NASA ISS SO would assume responsibility for onboard decisions relating to the investigations. These decisions would be made in collaboration with the expedition commander, the flight director and the lead increment scientists as appropriate. The SO would also be responsible for in-flight repairs of any failed experiments, including assigning a crew member with the appropriate skills to effect such repairs. Upon the completion of each experiment, the NASA SO would be responsible for ensuring that all the related data (disks, tapes, notes and images) and all samples were preserved correctly and packed for a safe return to Earth, according to documented procedures. The NASA SO would also serve as the main crew spokesperson for media interviews regarding the accomplishment of NASA experiments aboard the station during the given expedition. Post-flight responsibilities: The role of NASA science officer would continue well after the return to Earth. 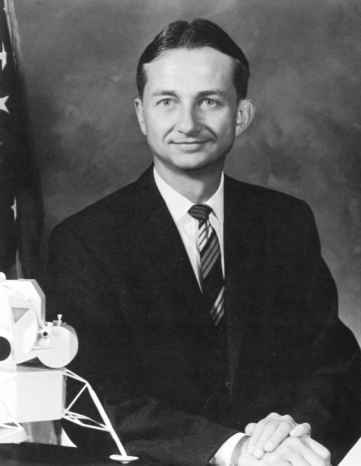 The astronaut would participate in formal debriefings with the principal investigators and work with the PIs on their post-flight analysis of experimental observations. Other support duties would include conveying any lessons learned (or not learned) to the ISS Program Office and to managers and administrators at the NASA field centres and Headquarters, as well as participating in NASA-sponsored public affairs and outreach activities. As an integral member of the scientific team, the NASA ISS SO would be encouraged to discuss his or her participation in the analysis and to report on experiment findings and their implications. This could include joint authorship of journal publications, participation in technical seminars at research institutes and the presentation of findings at professional conferences.